This bag was an experiment. 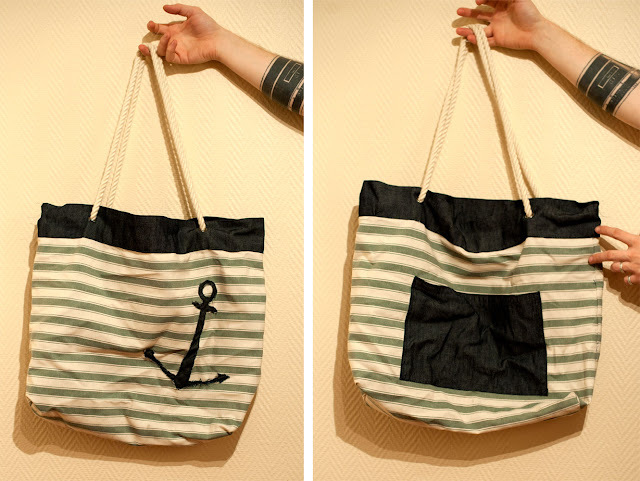 I wanted to try out free hand sewing on my machine (turns out I'm really bad at it, haha) and I wanted to make a beach bag with a design I actually liked. 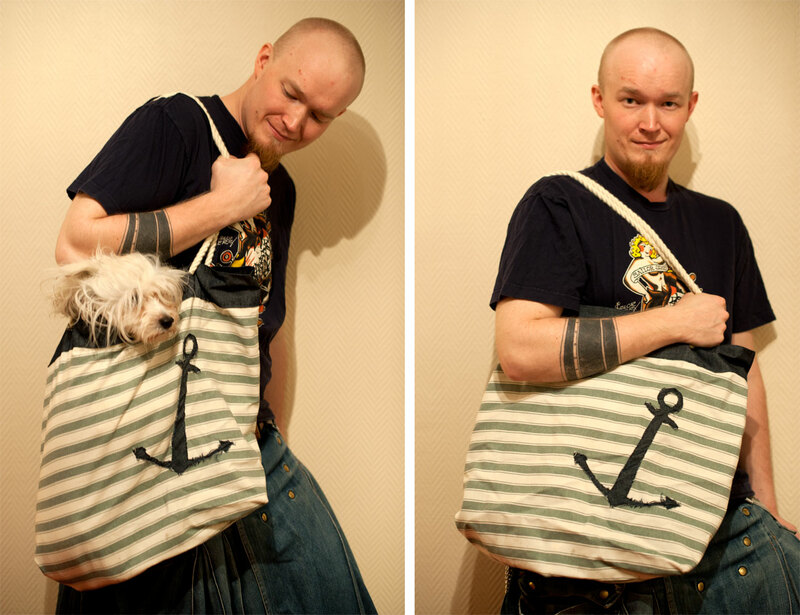 When I, a little over a year ago, was gifted a whole lot of fabric, I got some off-green/off-white stripy fabric and my first thought was "BEACH BAG!" The pocket, lining and anchor was made out of denim, I used some sweeeet soft rope I found in an alley-store downtown and eyelets for the fastening, because... well, eyelets frikkin' rocks. The handles was a simply attached my tying a knot on the inside. I really like the bag - its super cute, especially with the wee dog inside!